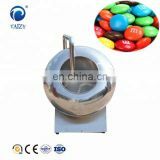 1).The sugar coating round pot is elevated with a elevation 30 to the horizontal. 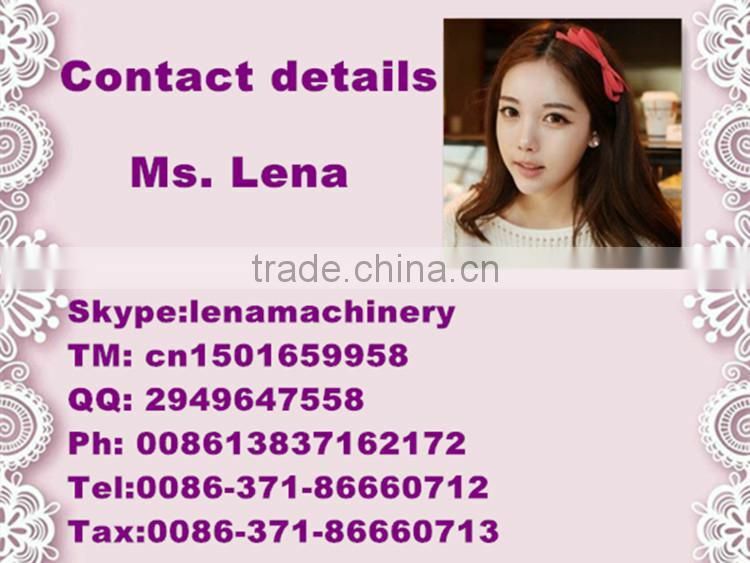 Also can used for mixing, polishing spherical shape or particles material in chemical industry,light industry, food etc. 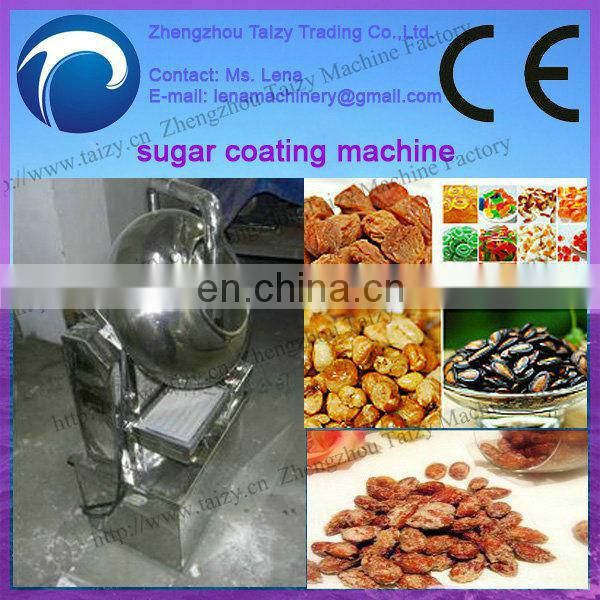 For example, coating sugar /flavour on peanut,rolling desiccant, aluminum hydroxide ball, aluminium oxide ball, catalyst. 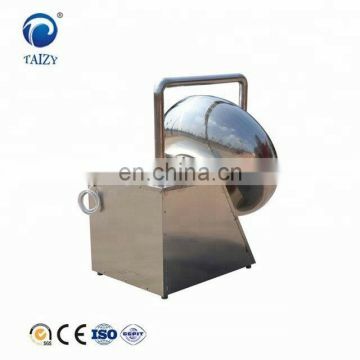 2).The heater can placed directly under the pot. 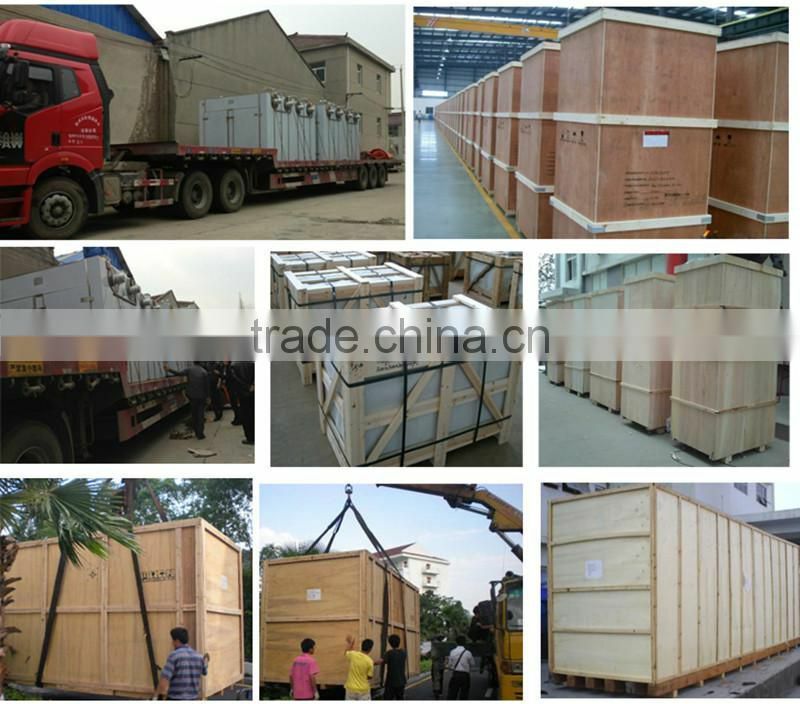 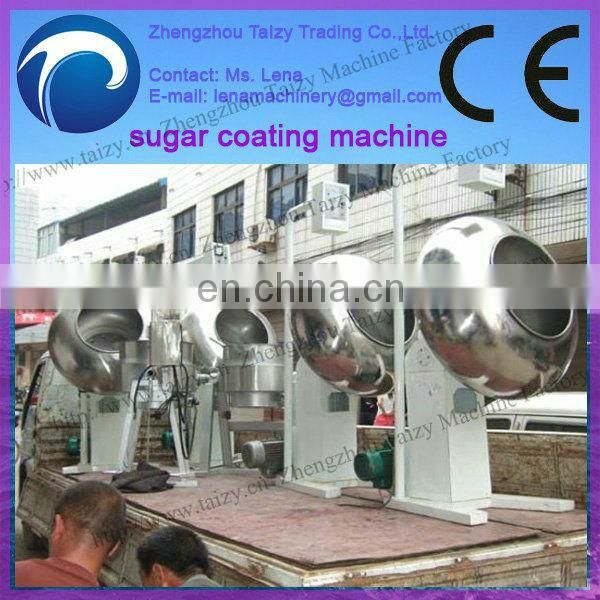 3).Main part of the machine is machine body ,worm wheel box ,sugar coating pan, heating device, fans, electric appliances and other major parts. 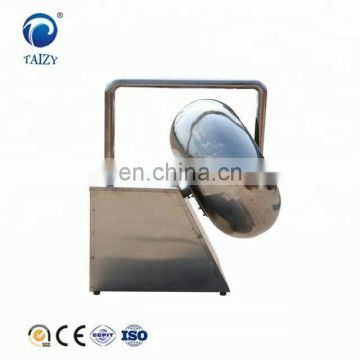 The pipe of the blower stretches into the pot for heating or cooling purpose. 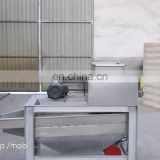 The thermal capacity could be choose in two levels. 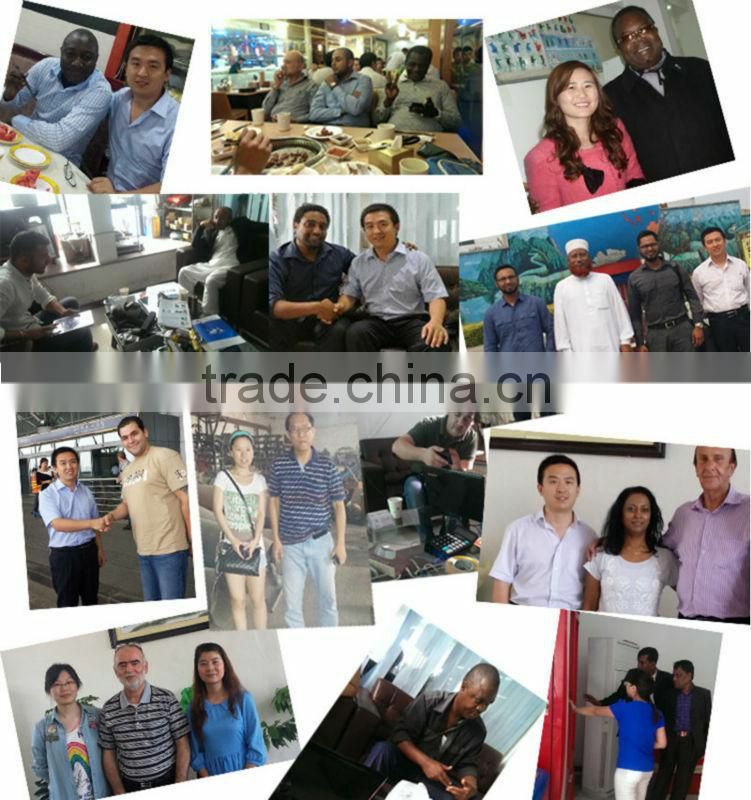 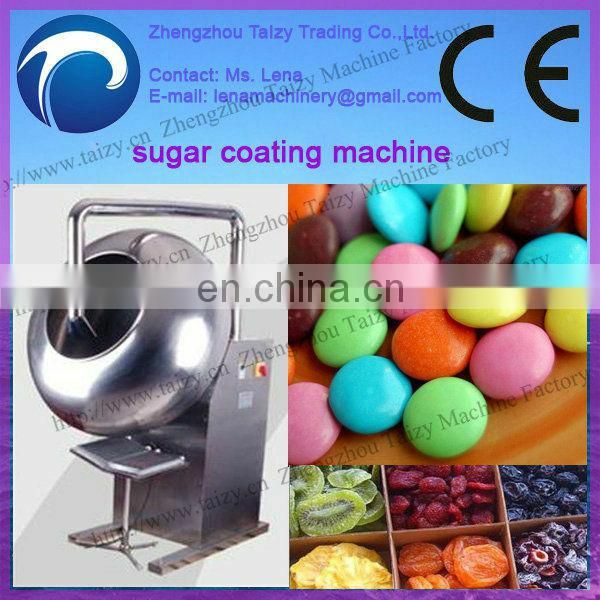 Through the triangle belt driving worm wheel, worm, driving sugar coating pan rotating , driving under the influence of the centrifugal force, making the material rolling friction in the pot, achieving coated with sugar mixture, and making pill, and polishing effect. 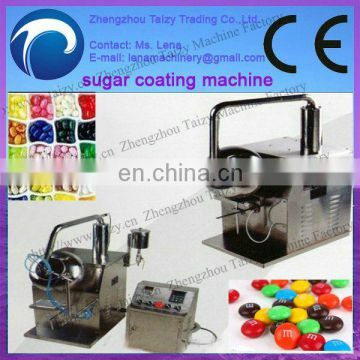 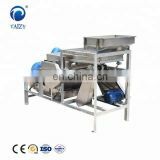 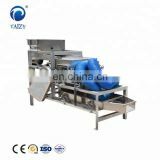 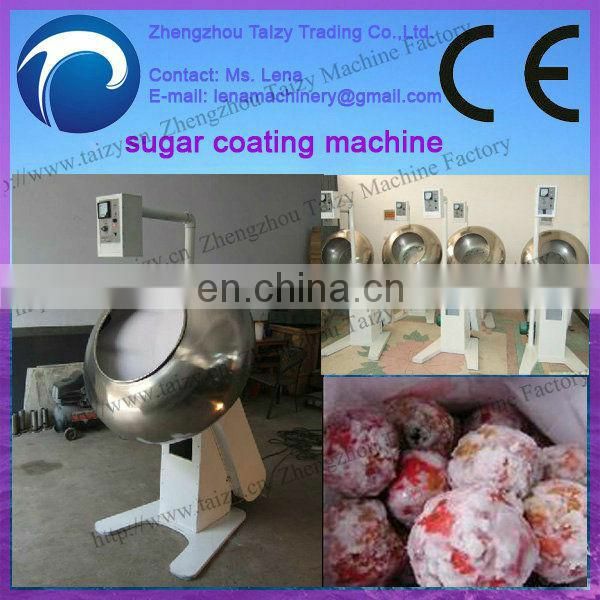 1.This Peanut Coating Machine is made of stainless steel.